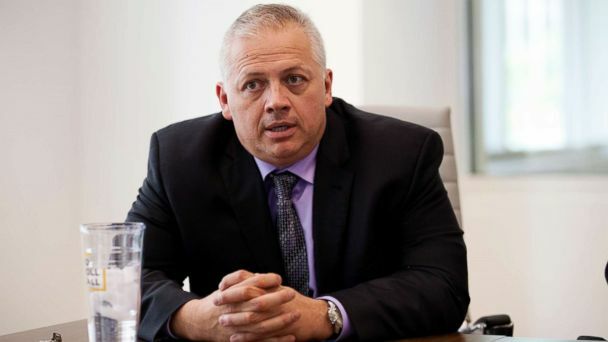 Republican candidate Denver Riggleman, who was once labeled as a "Bigfoot erotica" devotee by his Democratic opponent, was elected Virginia's 5th district representative in Congress on Tuesday. In July, Leslie Cockburn, accused her opponent in a tweet with a crudely-sketched image of the mythical creature - its genitalia veiled - saying, "My opponent Denver Riggleman, running mate of Corey Stewart, was caught on camera campaigning with a white supremacist. Now he has been exposed as a devotee of Bigfoot erotica." "This is not what we need on Capitol Hill," she added. Riggleman, an Air Force veteran, told ABC News in an interview that the image was derived from a book he co-authored titled "The Mating Habits of Bigfoot and Why Women Want Him" and was written as a running joke with his military friends. "We didn't think anyone in the wide world would be dumb enough to think that was anything but a joke," Riggleman told ABC News, "but it went viral." Riggleman is also listed as an author of a self-published book, called "Bigfoot Exterminators, Inc.: The Partially Cautionary, Mostly True Tale of Monster Hunt 2006." Denying Cockburn's allegations, Riggleman tweeted, "I sure don't know what Bigfoot Erotica is, ... but I can talk about Bigfoot theories all day." Riggleman previously told ABC News he did not believe in Bigfoot, but he did not want to "alienate Bigfoot voters." Questions about Riggleman's Bigfoot fascination did not deter Virginians in the district from voting him into Congress. According to ABC News' calculations, Riggleman snagged the House seat by 6 percentage points, defeating Cockburn by just 19,786 votes. The newly-elected congressman wrote on Twitter that he promises to make Virginia's 5th District voters proud.